There isn’t much better than taking a midday pause to enjoy a meal surrounded by friends, especially in Canada’s favourite surf town. We’re stoked to announce that our lunch service is back in a big way and we’ve got you covered with a whole new menu of fresh, locally sourced lunch items. Featuring a number of brunch-worthy favourites including the Big Bad Wolf Breakfast, with sunny side eggs, bacon, sausage, toast, tots and smoked tomato jam, the new menu is peppered with a few of our favourite flavours. If you’re looking to keep the weekend or midweek party going, pair your dish with our Pickle & Smoke Double Caesar, showcasing smoked salmon infused vodka and garnished with house made pickles and local seafood. If you’re feeling a little more adventurous, try our Te-Killa Bees cocktail with blanco tequila, spiced honey liqueur, cocchi americano and meyer lemon. 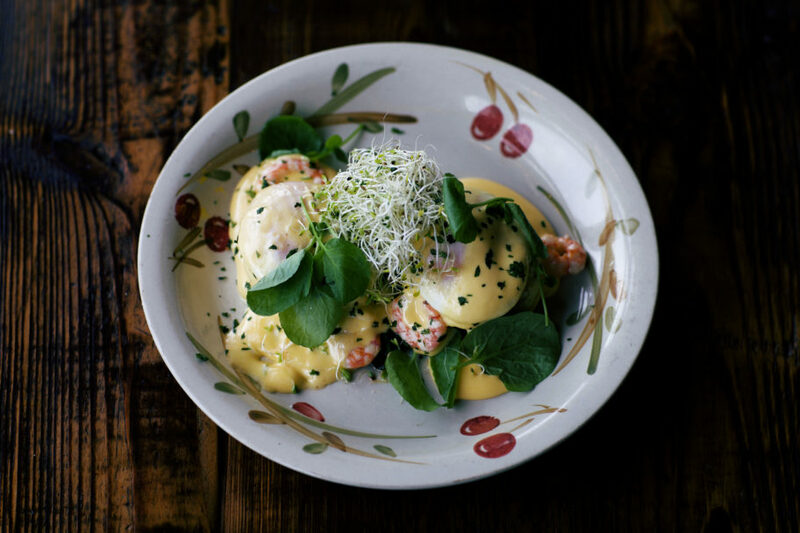 For the dedicated brunchers, try taking your Eggs Benny the Wolf in the Fog way, topped with boat-to-table shrimp and a generous helping of spicy shrimp hollandaise sauce – the perfect energy boost to prep for an action-packed afternoon. If you’re in the mood for fresh fish, treat yourself to the Tofino Cod Brandade with poached eggs, meyer lemon and parsley, a Corn Crusted Cod Cheek Sandwich with cabbage, pickles and chipotle mayo, or a sharing dish of Shellfish & Chorizo with mussels, clams, squid, focaccia and garlic mayo. Still undecided? Luckily we have a variety of other fresh ingredients and locally sourced dishes to choose from. From our Instagram-worthy Avocado toast and Tuna Poke Salad to our indulgent Spring Lamb Spaghetti Carbonara and Fried Pacific Beach Oysters, every dish is designed to do lunch justice and kick off the afternoon the right way.